Last one in this leather! 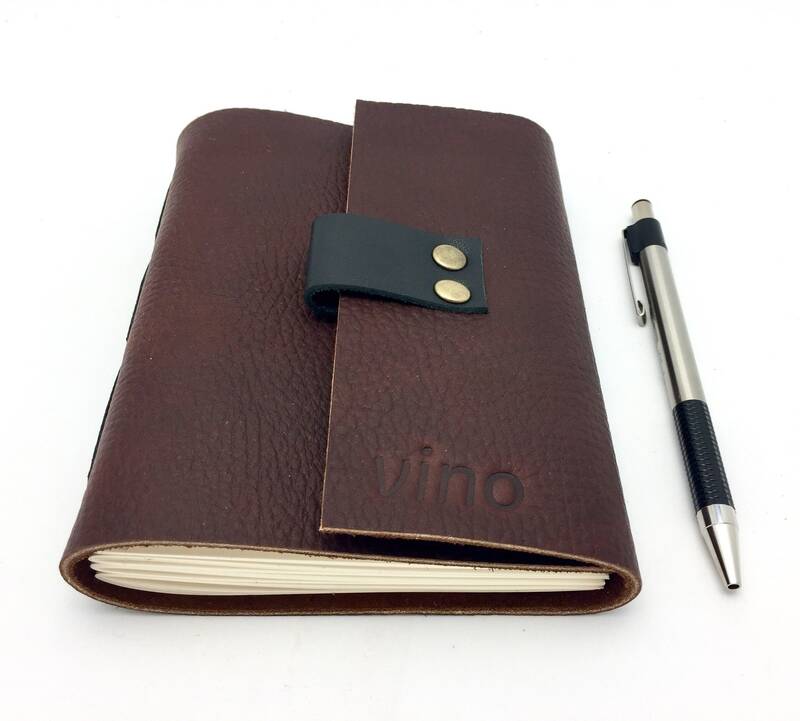 The perfect gift for the wine lover - a wine tasting journal! 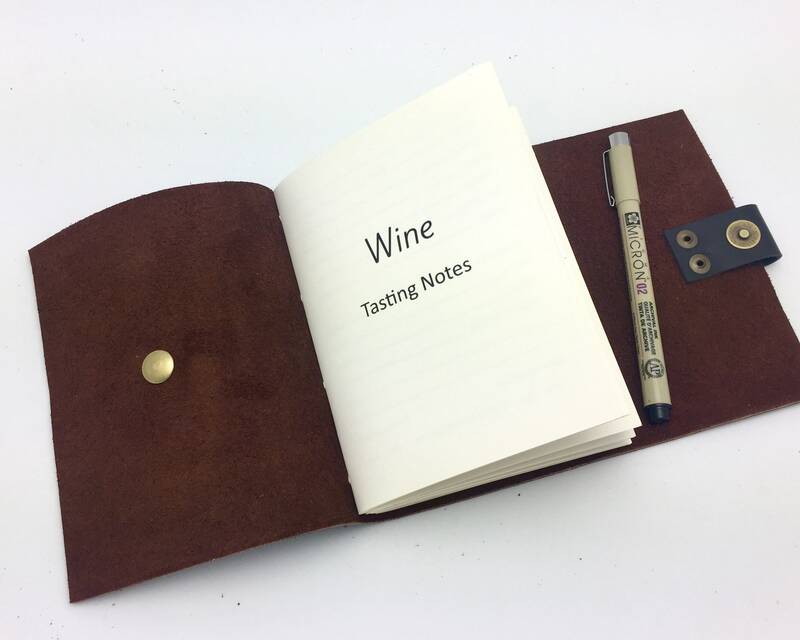 This notebook will be enjoyed by casual tasters and enthusiasts alike. 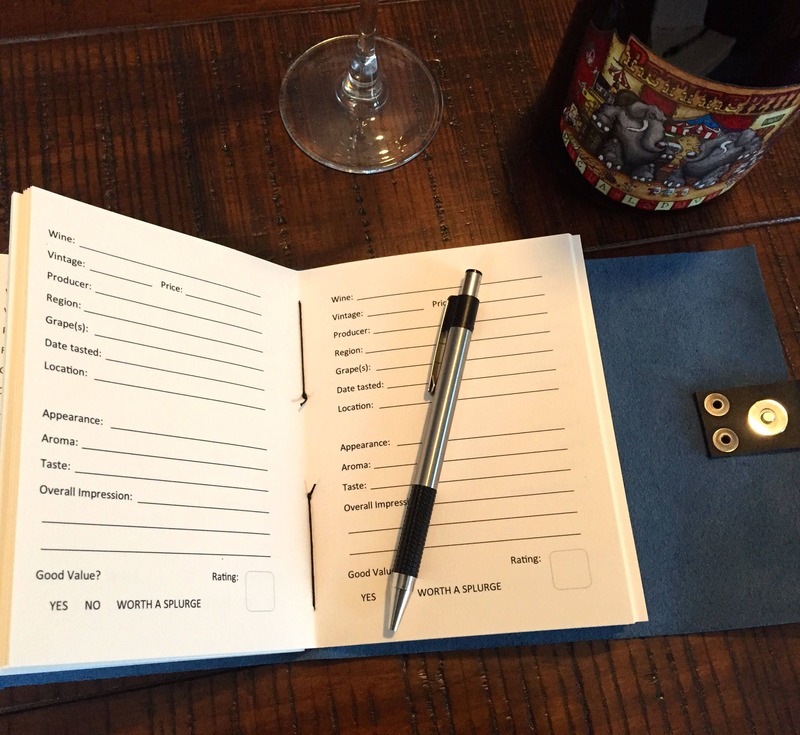 Fill out as much or as little information as you like about each wine - it's all about the experience! There's space inside for tasting notes on 126 wines. 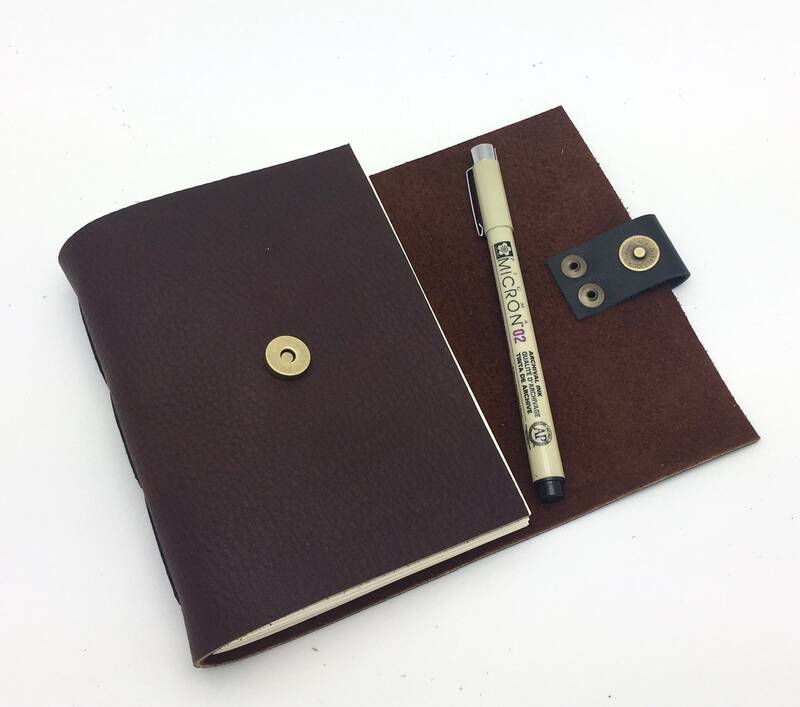 This rugged notebook is covered in a thick burgundy pebbled leather. 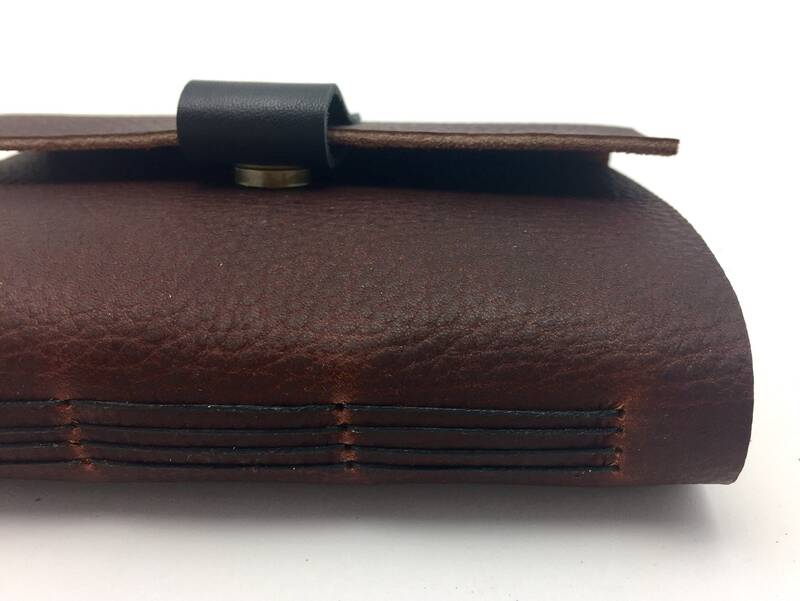 It’s accented with black leather trim and antique brass hardware. This leather is pretty rugged — it would benefit from occasional leather conditioner. 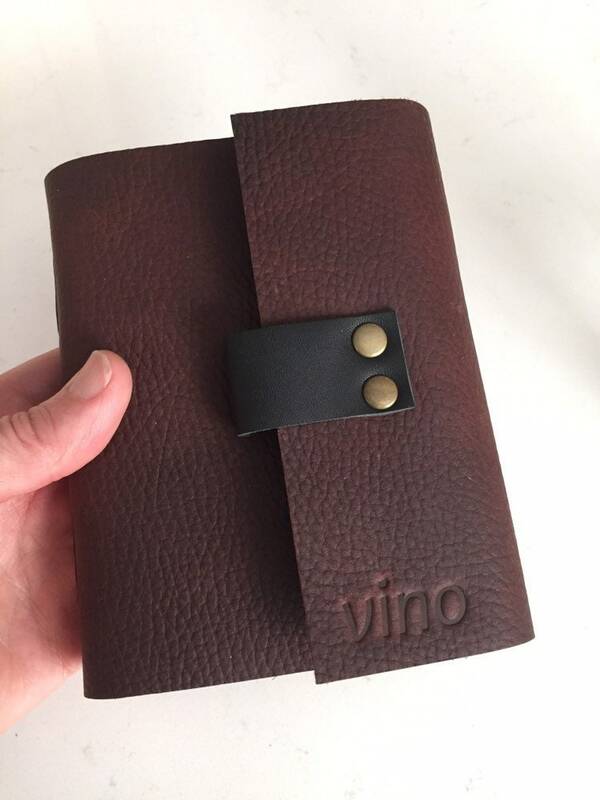 The word “vino” is hot stamped by hand on the cover. 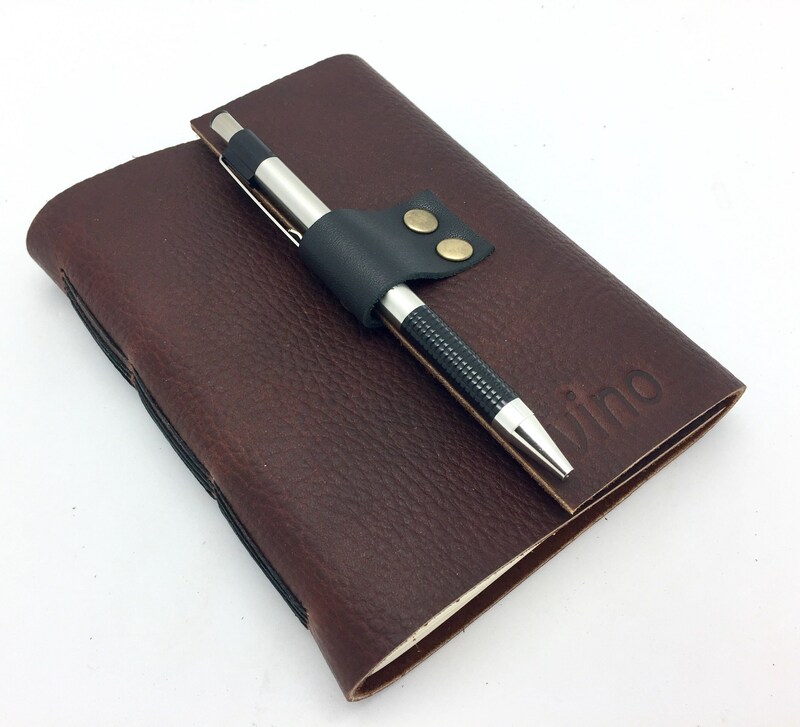 This book opens and closes without fuss, using a magnetic snap. 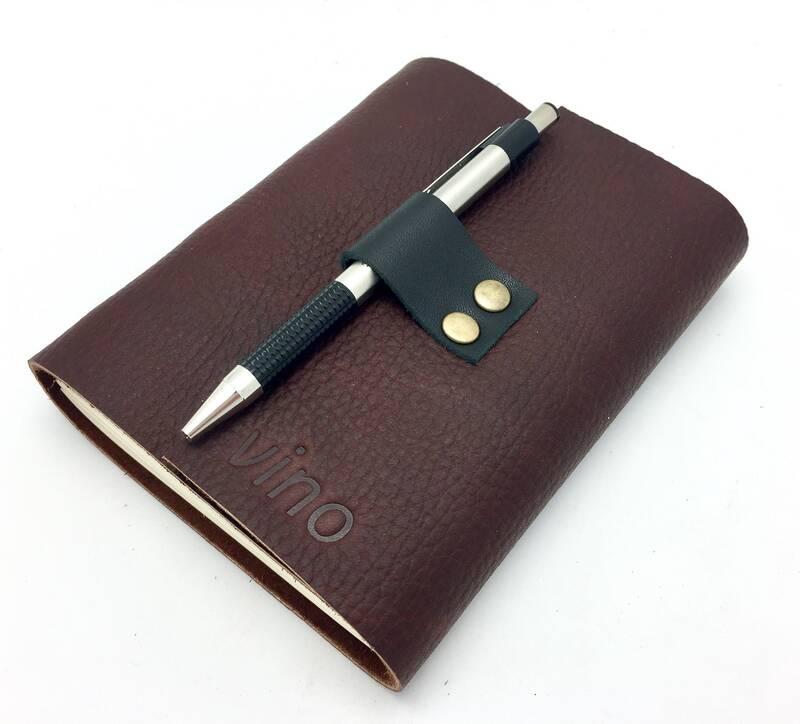 And the trim leather creates a pen loop so you’ll always be ready to take notes when the opportunity presents itself! - This is a handmade item and these are stock photos. There may be slight differences in color or detail book to book. These will not affect the beauty or function of your book. I've been hand-crafting books since 1998. I cut every piece of paper and leather myself and hand fold every page. I am picky about materials. 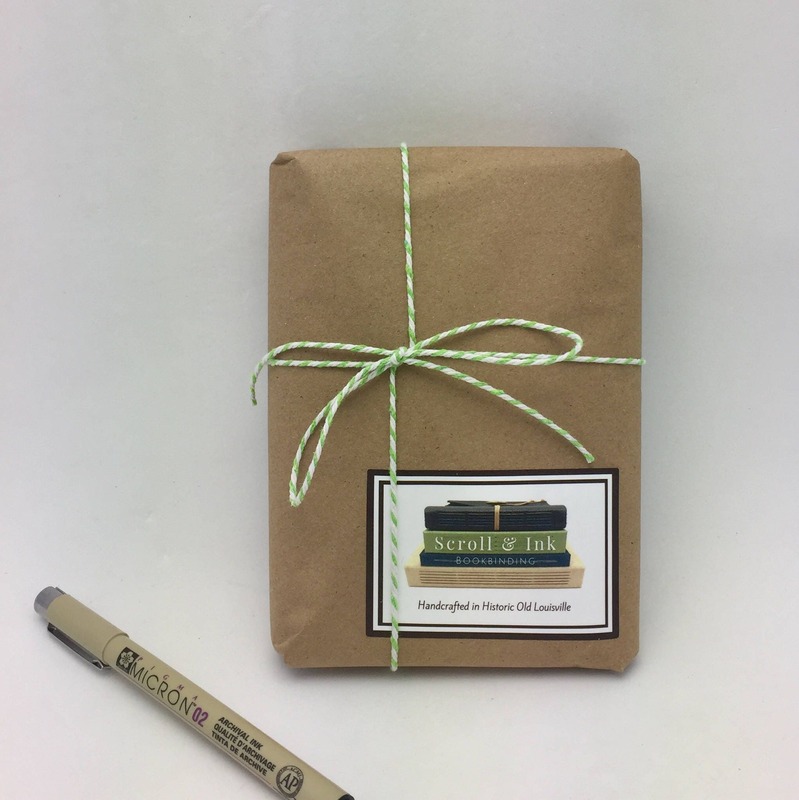 Each book is made individually with great attention to detail and signed inside the back cover. Thanks for looking! 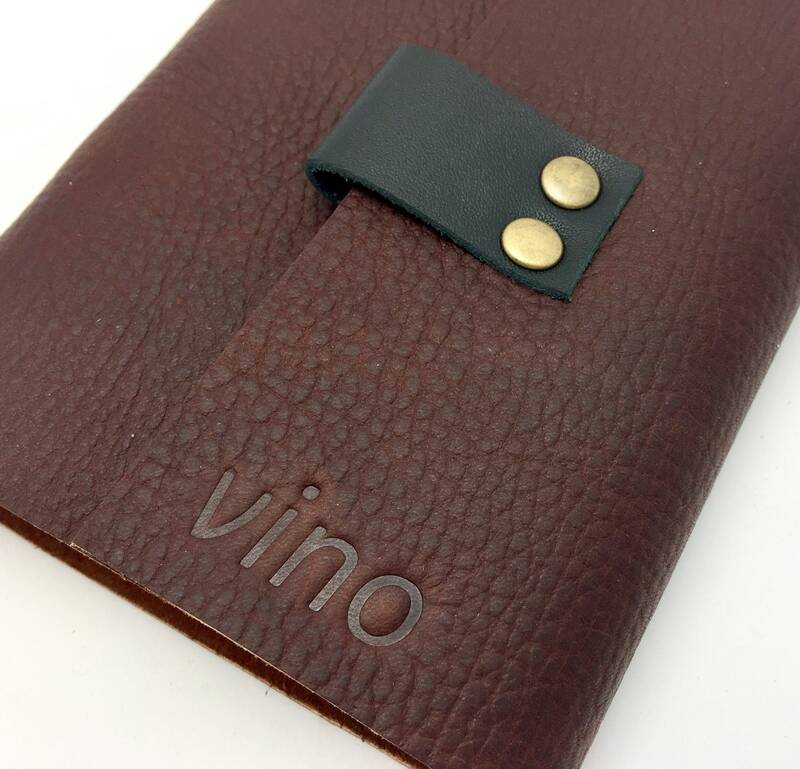 Book is very useful since it has many categories you can log about each wine. Cover is very high quality and durable construction. Kris is such a great seller. She responsed on all of my questions very professional and quickly.